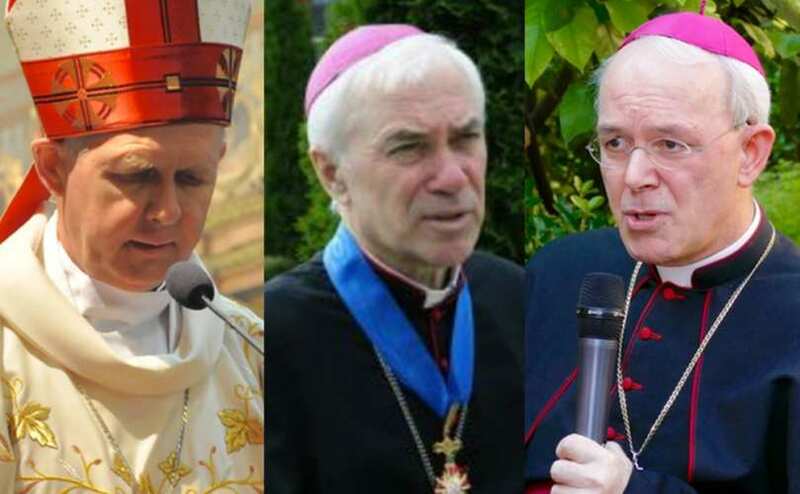 On the last day of 2017, three Kazakhstani bishops – Athanasius Schneider, Auxiliary Bishop of Astana, Tomash Peta, Metropolitan Archbishop of Astana, and Jan Pawel Lenga, Archbishop of Karaganda – issued a text entitled: Profession of the immutable truths about sacramental marriage. Since then, news of the document has been spreading in Catholic circles like wildfire, and with it, hope that this just might be the beginning of what will soon become a tidal wave of episcopal opposition to the Bergoglian agenda. 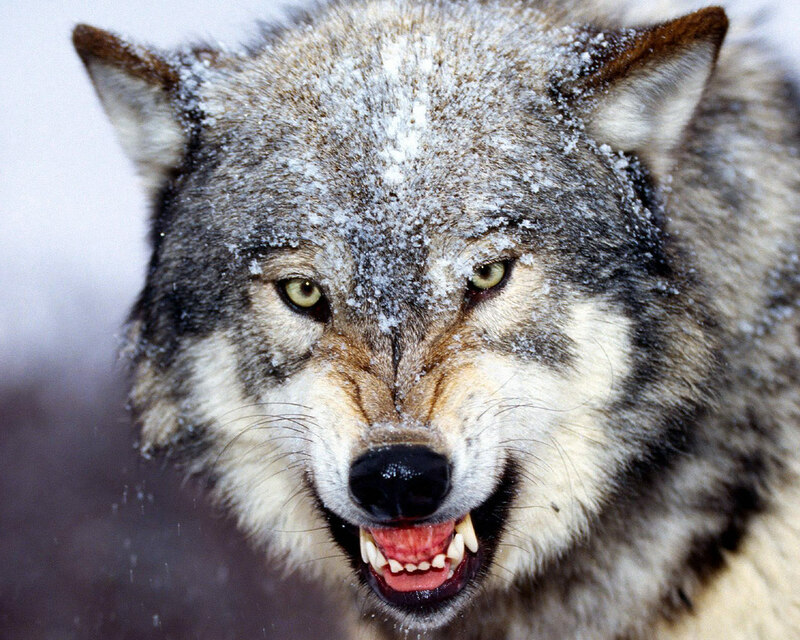 Rank and file Catholics, desperately seeking a shepherd with enough testosterone in his veins to protect the flock from the Bergoglian wolf, have taken to social media to hail the bishops for their faithfulness and their courage. Unbeknownst to them, however, these poor undernourished souls still haven’t found what they’re looking for, and moving forward, they’d likely have more luck tracking down Big Foot than a bishop with a backbone. As just a casual reading of their text reveals, the authors of the “Profession” are so Hell bent and determined to avoid mentioning by name, much less blaming, the heretic-in-chief who created this mess that it’s embarrassing. Forget the headlines and the news reports – the hero-bishops don’t utter even a peep about “the Pope’s reading” or “the Pope’s interpretation” of Amoris Laetitia. Even if they did, the very suggestion that Francis is misreading or misinterpreting the text of his own personal Love Letter to Lucifer is patently absurd. So, what does the “Profession” actually state? That’s it. This singular mention of “the supreme authority” is as close as the bishops dare come to identifying the actual perpetrator of this unprecedented attack against the Catholic faith. And let us not forget that this came only after a well-planned, multi-year offensive that included Francis’ strategic invitation to Cardinal Kasper to address the consistory of 2015, his manipulation of the two Synods on the Family, and the promulgation of Amoris Laetitia – a text that was all but written well before any of this even took place. Even so, the bishops could do no better than to hint at Francis’ involvement in attacking the immutable truths about sacramental marriage? As may come as no surprise, the bishops saw fit to cite the Second Vatican Council – the single greatest assault on immutable truth that has ever taken place in the Church – no less than five times. “Even the supreme authority in the Church may not change the liturgy arbitrarily, but only in the obedience of faith and with religious respect for the mystery of the liturgy” (Catechism of the Catholic Church, 1125). Afterwards, they actually claimed recourse to the authority of none other than Paul VI – the disastrous pope whose liturgical disobedience, disrespect and arbitrariness is legendary – citing him twice! This practice therefore represents a substantial alteration of the two thousand-year-old sacramental discipline of the Church. Furthermore, a substantially altered discipline will eventually lead to an alteration in the corresponding doctrine. Inasmuch as the present situation is concerned, this is exactly backwards. It was only after this that steps were taken by Francis, the author of that dreadful document, to alter the two thousand-year-old sacramental discipline of the Church; thus revealing for all to see his subjective intent. Why did the bishops choose to ignore this reality? Could it be because acknowledging as much would be tantamount to identifying Francis as the formal heretic that he most certainly is? Seriously, be on the lookout for another one of those Remnant videos with Michael Matt lecturing us on how deserving of esteem the Kazakhstani bishops are in spite of their failure to address the actual problem; similar to the way in which we should admire Cardinal Sarah simply because he agreed to offer the traditional Mass at Chartres (even though he’s just as likely as not to extol the virtues of the Novus Ordo in his homily), and how Cardinal Burke should be viewed as our ally even as he declares that the SSPX in schism. In conclusion, though the Profession of the immutable truths about sacramental marriage may seem better than a stick in the eye, it is actually far worse. If we’ve learned anything from the time of Vatican Council II to the present day it’s that simply repeating the truth isn’t enough; rather, it is necessary to identify not just heresies but the heretics, by name, who abuse their privileged positions to propagate them. And yet, on the most important points of all, there is nothing but silence. As such, inadvertently or not, the bishops end up providing cover for the greatest threat to the faithful in our day, Francis. This being so, you won’t find any puff pieces applauding the authors of the “Profession” for their courage on these pages. Your clear eyed analysis is a gift. Marcel Lefebvre pray for us. Thank You Louie for your courage in the face of so much weakness. So tired of teeth gnashing and hand wringing by so many who are afraid to confront, truly confront, reality of who this man Francis, is. I wonder if you or any of your subscribers, have listened to Catholic Theologian Dr. Kelly Bowring’s video. I believe the ‘Theologian” in the video has missed the mark in many of his concluded predictions. Makes me realize that if he does have a valid catholic Theological Degree, it might be just one of many reasons the institutional Church is in trouble. We need the assertive efforts of Sts. Bernard of Clairvaux and Norbert to rid us of this heretic freemason infiltrating the papal throne. In the 12th century they sought the military aid of Emperor Lothair to evict Anacletus II, a crypto-Jew from the papacy and install the true pontiff, Innocent II. I realize we don’t have a validly elected pontiff waiting in the wings, but a military solution is not out of the question… Poland, Hungary, Czechland and Slovakia, all disenchanted with EU totalitarianism, may be sympathetic to entreaties on behalf of a military solution to an apostate pope. Now, about those Italians… well maybe they need to examine their consciences and strengthen their jockstraps with some starch. Mary, you may be misguided if you are living in Poland by the surviving surface-Catholicity (the Modernist Church), but in any of the other countries you mention there are just less than 5% of people that might fall in a category of being “Christians”, and 99.999 % of them are so modernist and VatII/NOM brainwashed that no matter the Bishop of Rome says or the previous Popes did, such as Asissi pan-demoniums and promotion of alien ideas, those people accept all heresies done and preached more agreeable than even admitting that a Latin rite was once the general norm. Yet, you may be right, a military solution may come, but it is the US army in Europe that has been in charge the last half century or longer, and such solution would bring about the usual material destruction as we have recently seen in , say Iraq. Your analysis of Polish Catholicism is very likely spot on. The US Army is an agent of the New World Order. They have no interest or ability to evict this pope. The major powers are on the side of the New World Order. Poland, Hungary, czechland and Slovakia are disenchanted with the EU. I’m not suggesting they are uber religious Catholic, they arn’t, but they don’t have to be. What’s necessary is the recognition that this pope is an infiltrator, a heretic freemason, directed by masonic forces. Would it be acceptable to Chabadists to have someone with Reform Jewish inclinations, and directed by outside forces to be the lead Rebbe, determined to change and destroy Chabad? If infiltration is not acceptable in other religions or in industry, why should it be acceptable in the Catholic Church? Even the most poorly catechized Catholic could understand this logic. I believe, It was the illegitimate son of the King of Spain who saved Europe at Lepanto. Don’t be too quick to judge. God will use the instruments of His own choosing. Excellent points Louie as usual. To be fair though, Archbishop Lefebvre in his famous 1974 declaration didn’t mention Paul VI by name. It was clear who he was talking about when he said Modernist Rome. And in the sermon for the 1988 consecrations he didnt condemn JP2 as a public heretic. Correct me if Im wrong but the archbishop never declared Paul VI or JP2 a public heretic or antipope, which is what you’re looking for from Bishop Schneider. Indeed, Archbishop Lefebvre did not refer to the Modernist popes as heretics. And, he generally didn’t single out the pope in his condemnations of their Modernist behavior. He saw Modernism as a systemic problem in the Church. Though I think that he did write a rather scathing condemnation about the uncatholic Assisi ecumenism meetings, which may have been directed at JP2. How many Catholics actually have an issue with Francis? Not many, unfortunately. I just read the 1986 declaration from the archbishop after Assisi. You’re right. He names and accuses the pope directly. Still doesn’t say he’s a notorious heretic and that the See of Rome is vacant. Which is what I feel like Louie is expecting from Schneider and Burke. Who knows, they may get around to doing that. My question for Louie would be, if you had been blogging while Archbishop Lefebvre was alive, would you have been satisfied with the 1974 and 1986 declarations? Or would you have criticized those statements for not going further and declaring the popes notorious heretics who are outside the Church? Thanks for finding the article about what +ABL wrote to JP2. You’re right – he does not accuse the pope of being a heretic. I think that he did not consider them formal heretics. At least there’s no indication as such. And the Archbishop considered it a VERY bad thing that the Pope invited all those other religions – including pagans – to pray together and worship together at Assisi. For him, it was every bit as upsetting as Amoris Laetitia is for us now, IMO. But still, he considered that the Modernists were a sect who were occupying the Church, and that as such, we do not follow them in their error. Abp. Lefebvre told the faithful that such behavior was not Catholic. He said the “Conciliar Church” was not the Catholic Church. To me, that statement is a stronger condemnation than calling heresy. And yet he never said that the Church has defected. He said the Church is “occupied” by a modernist sect. Given where we are today, perhaps Arcbishop Lefebrve should have “gone further”. Maybe we would have never seen the likes of Francis if things were handled differently right from the start. But then there was that pesky Ratzinger who had many of the traditionalists believing he was somehow “different”. He sure did (and still does) fool them! I don’t think that +ABL would have gone farther, though I can understand why you might think that. Pope Francis is just more of an upfront modernist than his predecessors. Did you happen to notice that good article on the Cathinfo forum yesterday, in which Bp. Thomas Aquinas wrote of things that +ABL discussed with him and others decades ago, and in which +ABL described his personal dealings with the Popes, and that he called JP2 a villain? I mean, he was treated badly by those popes, but he never called them heretics. He was prudent. Spot on once again, Louie. Such hard truths! But truths indeed. As for The Remnant, I’m finding Michael Matt’s whiny videos increasingly unwatchable. And his banter with “Rob” has long since outlived its shelf life, along with the increasing use of postmodernist perspectival shifts in camera angles. Yes, it appears that Matt and The Remnant are sliding inexorably into total CatholiCuckery (i.e., what Ferrara calls “neo-Catholicism”). Sites like Lifesite will no doubt soon be linking to The Remnant. Behold the exchange between commenter Ave Crux and the relentlessly sappy, thoroughly tyrannical The Remnant Moderator. Signs of total CatholiCuckery are indeed on the rise at The Remnant. Thus I’ve canceled my subscription. As have I, for those very same reasons. I am so grateful to you, Louie, for your absolute moral courage and plain spoken common sense. God’s grace and favor must surely guide you. I pray His blessings also follow you. 9. only critique and attack the statements as heretical in themselves as a direct act of the Pope, but not VII. 10. attack the statements as heretical in themselves as a direct act of the Pope stemming from the presumably erroneous interpretations of VII. 11. attack the statements as heretical in themselves as a direct act of the Pope stemming from the direct errors of VII presumed to be unintentional. 12. Attack and condemn the statements as heresy, Francis as deposed, VII as an intentionally heretical council. Step 12 is where we need to get to, but… it’s going to take awhile… probably a world war, many many deaths, great chastisement of fire, the Consecration of Russia by a true Pope, and finally a Council. As long as these “bishops” follow the Vatican II false religion, they are complicit. Well said, Louie. And it is so true that any bishop in NewChurch today must bow down to Vatican II, even though it has done more harm to the Church than the Arian crisis. We will know when victory is here by the total and complete condemnation of Vatican II by the pope. Hopefully it will soon be done by a Catholic pope. 2 Vermont–That is exactly right!! It is like belonging to the Nazi party while asserting that Hitler “isn’t nice”. It’s useless! Remember that old 70’s song “Too Much Too Little Too Late”? That’s how this effort strikes me. It’s too weak, too general, too late. We need tigers and we’re getting kittens. There are those who will criticize you Louie. They will say you are being unnecessarily divisive for “click bait”, or something along those lines. But in my opinion you are not, not at all. If we have learned anything in these last four years, it is that complacency is not helpful, and that we need to know, KNOW, as best we can, what is true of the faith and what is not. We are much more knowledgeable about a great many things now. We know our clerical leaders may, or may not, be conformed to the true faith, indeed, they may be actively working against the Kingdom of Our Lord and Savior Jesus Christ. We can never assume plain goodwill on the part of our clerics, no, not any longer. We see they are quite willing to trade the Gospel for a career, and their spines are jelly. So now we must know, we must be diligent, we must be cautious, and striving for Truth, we are sensitive to any deviation because we have learned we have to be. Trust, but verify, may be the order of the day, and watch for small capitulations, because they can turn into tidal waves. Now that trust has been squandered, mistreated, trampled, we are jaded, somewhat nervous, because we know, that camel puts his nose in the tent one error at a time, and then before you know it, he’s in, and you are only going to get him out with great effort, or maybe, you can’t at all. We can’t even find bishops to help us push him out, or pull the harness, we can’t get bishops who will even acknowledge the camel is in the tent, they prefer to whistle and observe the fly on the tent wall. God sees the camel, and according to His holy will He may or may not do anything about that camel in our lifetime. We just don’t know. We need to turn to him in prayer, and never stop, because clearly our bishops are not going to take on the problem of the camel, they are going to care for themselves, and only God can do anything about any of it. We are going to see more and more capitulation to the New Order, and it’s up to us to do our best to stay faithful and keep the old faith. May God help us do that. Well said indeed! The time for “Can’t we all just get along” CatholiCuckery is long past. Yet it seems to be precisely the road Michael Matt and other “traditionalists” –not to mention confirmed Judas Council snakes–are going down. Battle fatigue has conquered them? No sentimentalist dreck from him, but only cold-eyed realism, which is of course most unwelcome in our pitifully Rousseauean age.